The piercing of the emergency alert echoed through our home from every cell phone and iPad. 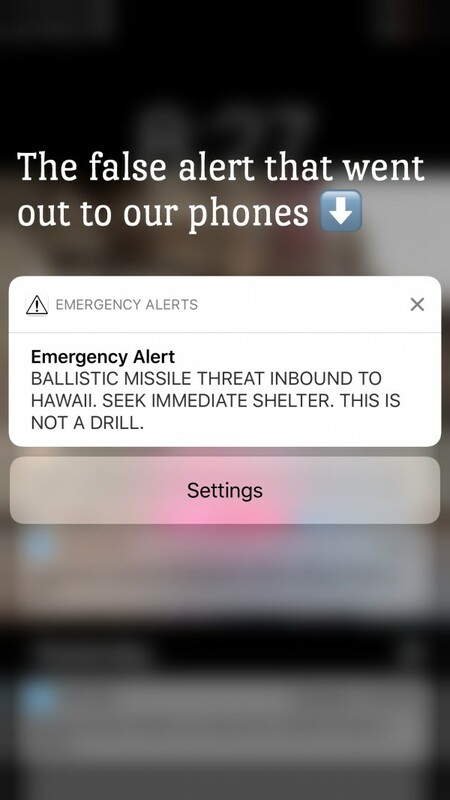 "EMERGENCY ALERT: BALLISTIC MISSILE THREAT INBOUND TO HAWAII. SEEK IMMEDIATE SHELTER. THIS IS NOT A DRILL." Although we now know it was a false alarm, we didn’t at the time. In fact, Hawaii’s Emergency Management website was so overloaded that it appeared to crash. Although, unbeknownst to many of us, they confirmed it was an error 15 minutes later on Twitter, it took emergency management officials about 40 minutes before they sent out an alert to cell phones announcing the false alarm. The alert went off and to say I felt sheer terror doesn’t even seem to adequately describe how I felt. For all I knew, a deadly missile was barreling toward us and we were all probably going to die. I had to get my children to as safe a location as I could. “What kind of protection is our house going to be against a freaking nuclear blast? !” I thought.I screamed for the kids to come to me in a voice more shrill then I knew I was capable of. We were at home, it was just about 8 in the morning, and they ran up the stairs to me faster than I knew they were capable of. I imagine the terror in my voice was something they had never heard before and combined with the piercing of the alerts echoing through the house they must have been instantly scared. I wish I could say I stayed calm and immediately knew what to do. Normally, I’m the one calm person in an emergency situation, and I don’t emotionally break down till after the chaos is over. But this situation was completely different. In most emergencies, you can call for back up and then do your best. There would be no backup in this situation, we were going to live or die in mere minutes. Or so I, and millions of other people, thought. Everyone is aware of today’s political climate and the antagonist maniac ruling North Korea. 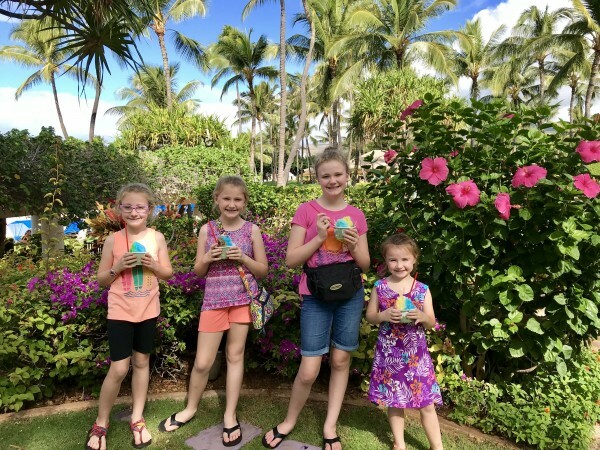 As an added precaution, Emergency siren tests were added months ago to the tsunami siren tests that are conducted on our island of Oahu, Hawaii. There’s been talk in the news of how to prepare, and the hubby and I had talked about stocking up on supplies. (Extra water bottles in the laundry room is as far as we actually got around to stocking up on supplies.) To be honest, it seemed like such an impossible scenario. I shoved my four kids into my closet and slammed the sliding glass doors. Wait. Flimsy glass doors? They were going to shatter and become like shrapnel, right?! Not to mention, it would be best to be on the ground floor lying down, so maybe if we survived the initial blast we’d have a chance of surviving the aftershock? Probably not, but I wanted to give us the best chance. My mind raced while I dialed the phone to tell my mother I loved her. I was crying at this point while trying to tell the kids it was going to be okay and think of the safest place in the house to take them to. I told my mom what was happening, that I loved her, and then the phone beeped and my husband was on the other line. I know, I know, I called my mom before I called my husband, marriage fail right? But in my defense, he was at the gym and I assumed he would be running for cover towards the middle of the building. I was thinking I would say goodbye to my mother and that he’d call me when he found the safest shelter as possible. My husband is a United States Naval officer. Usually he is completely sane. Today he drove home to be with me when he should have stayed and sheltered. Of course at that point he didn’t know I had called my mother before I’d called him. Seriously never going to live that one down. “I'm on my way,” he calmly said. “Are you crazy? You’ll be vaporized driving home! Aren’t you at the gym? You need to stay there and seek shelter! I love you.” My voice broke as tears fell in rapid succession down my face. My adrenaline was pumping so fast I felt sick to my stomach. “If something is happening I’m going to be with you all. I love you.” He sounded calm and adamant. He knew better than I how unlikely this situation was and yet there was no mistaking the alert written in all caps that had just gone out to millions of people saying this was NOT a drill. I tried to argue with him but he was determined to be with us no matter the danger. The children’s cries had me focusing again on them and snapped me back from sheer panic. Note to self: next time you’re potentially about to be vaporized by a ballistic missile, it’s best not to talk about vaporization, or to cry in front of the kids. Thank God for motherly instincts. I knew I had to calm down for the kid’s sake’s and get us to a safer location. I hung up the phone and told them that we were going to be OK but we needed to move down to the laundry room because it was a safer place to be. As we ran downstairs I grabbed a foam mattress that was rolled up on the landing (the littlest girls had used it to make a fort the previous night) and when we reached the laundry room I shoved the foam mattress against the one and only small window. It was dark and warm in the small space. Note to self: a foam mattress in the window won’t save you from radiation so don’t be so freaking silly next time. I tried to smile and talk slowly, evenly, and calmly to the frightened little faces staring back at me in the dim light. I pulled the smallest girls into my arms and squeezed my ten year old’s hand. My eldest was the only child not in tears but she was upset and demanded to know what was going on. If you’ve read this far, first, thank you, second, I hope the takeaway from this story is that you examine your life and that you choose to focus on happiness on a daily basis. I hope you choose to spend your time with the people you love, even if you need to sacrifice other things to do it. Because let me tell you, when the end comes, you won’t care what people think of you, how messy your house is, what car you drive, or what’s in your bank account. You’ll just be thinking about the people you love and how you wish you had more time with them. TRUTH. My husband opened the laundry room door and squeezed inside. Despite people driving at high speeds through red lights and stop signs, he’d made it home safely. By the time he got home it had been about 20 minutes since the alert. Based on his knowledge he told me it was probably a false alarm because we would be out of time if it were real. A military colleague soon confirmed it. I can’t imagine how the people felt that had to wait for that second error announcement 38 minutes after the first urgent warning. Twenty minutes of fear like that was brutal. Read my original post and add a comment here.